What if you sat down at a restaurant table but a server never comes to pass out menus or take any orders? How would you get menus? View the options? Order food? The answer lies in touch screen technology. 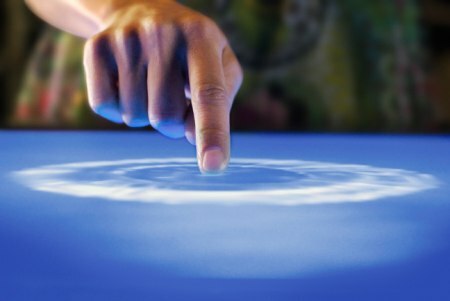 With current advancements, tables have already been developed that also serve as giant touch screens. Restaurant customers can sort through the menu, indicate what dishes they would like and have the food delivered without ever speaking to a waiter or waitress. Touch screens are fast becoming the wave of the future, and the momentum doesn’t show any signs of slowing down. As software engineers continue to push for the most user-friendly interfaces, your fingers are quickly becoming the most powerful tools around you. Mobile phones are increasingly integrating touch screens. Tablet computers like the iPad are the new must-have technology. Remotes, cameras, e-readers and car navigation units are all moving to touch screen interfaces as well. Meanwhile, your phone buttons, keyboard, mouse and other electronics are increasingly becoming the leftovers of a past generation. But can touch screens truly replace our reliable old buttons? There are certainly still good uses for the older technology. Many people have trouble typing quickly and accurately on a touch screen for example.